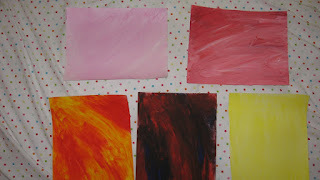 This is an assignment for Dawn D. Sokol's art journaling class. With a permanent marker, I wrote all the nasty emotions I have been feeling and the causes of these emotions. Then, I painted two layers of white gesso and two layers of deep yellow paint. Next, I used a red permanent marker to write all the good things about my day. 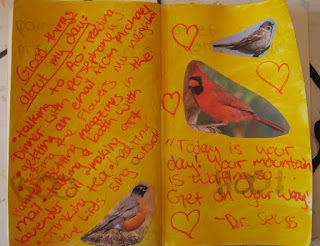 I also added a quote by Dr. Seuss and three pictures of song birds.